This week’s Nintendo eShop update celebrates 24 years since Kirby’s Dream Land first saw release in North America on Game Boy. That sees the pink hero become the centre of attention with Wii U’s Virtual Console adding Kirby’s Epic Yarn and Kirby Mass Attack, while Nintendo 3DS adds a Kirby Planet Robobot demo. 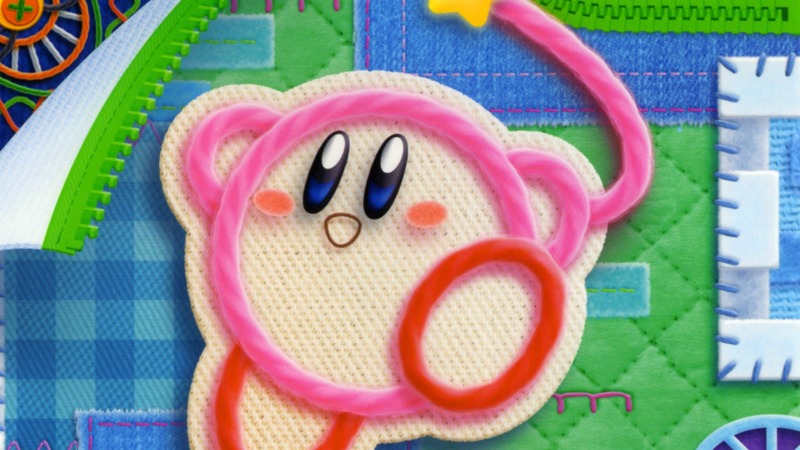 When Kirby incurs the anger of a sorcerer, he is transported to a world made completely of cloth and yarn. In this Wii classic, guide Kirby through uniquely crafted levels in Patch Land as he takes on a variety of forms and transforming into powerful vehicles. A second player can also aid in the adventure by playing as the adorably named Prince Fluff. Gather a mob of Kirby characters and then lead them through this crazy Game Boy Advance adventure in which nothing can stand in your way. Send Kirbys swarming over enemies, fling them into the air to hit flying floes and even use them to take on challenges of strength. Don’t forget to collect medals hidden throughout various stages to unlock mini-games. Discover the world of Mustland with Nelesa in the sad cells of Moon Prison with this first episode of 3Souls. In this 2D puzzle-platformer, players must utilise the unique features of the Wii U GamePad to solve puzzles and the touch screen to glimpse into the thoughts and feelings residing within Nelesa’s soul. A second player can join in on the journey to help you with the platformer parts of the game in local Co-Op Mode. Control up to 4 BLOCS at the same time to prevent the star or ball from going offscreen! Features multiplayer for up to 4 players: each player shares the Wii U GamePad to control BLOCS on each side of the screen. Play with bumpers in one of 4 stages! Haunted by frightening dreams about her forgotten past, Isabella – along with her fiancé – travels to an old ghost town, the only clue to her origins that she has been able to dredge from the depths of her lost memories. At the start of the dangerous journey, a terrifying creature attacks the pair and Isabella barely manages to escape with her life by fleeing into the dungeons buried deep beneath the town… where deadly vampires lurk. Now it is up to you: help Isabella as she tries to find her way out, reach the mysterious city of lost souls, and rescue her fiancé! Another year older, another year … pinker? What better way to celebrate Kirby’s birthday than with a free demo of his new sci-fi adventure, Kirby: Planet Robobot for the Nintendo 3DS family of systems, alongside other great Kirby games. Gotta Protectors is an awesome 8-bit spin on tower defense straight from Japan! Team up with friends and mow down hordes of foes! The bad guys are after Princess Lola. You gotta protect her! Choose from a diverse and memorable cast of six classes, each with unique weapons and customizable, upgradeable skills. Strategically place barricades and turrets, hire hirelings, move Lola (the source of your power) around the map, and get ready to hack, slash, and magically mash wave after wave of enemies. LEVEL UP and DESTROY THEM ALL! Fight through 100 story maps, or create your own using the Map Editor and share them with friends via QR Code patterns.